Water waves, nearshore hydrodynamics, coastal processes. Coastal Engineering Laboratory, Stieff Building. 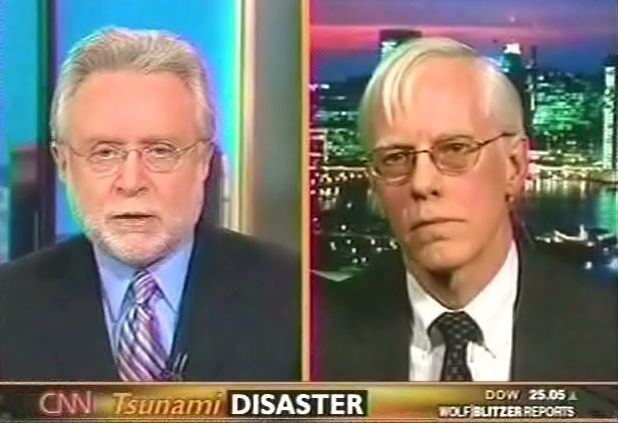 David Kestenbaum interview on January 6, 2005, on National Public Radio about rebuilding after the Dec 26, 2004 tsunami. Click to listen. Discovery Canada Daily Planet, 3/18/05, on rebuilding in Thailand based on ASCE TCLEE/COPRI trip there..
See Jaws, Maui report on CNN.com, Oct 30, 1998. These pages provide information, updates, and errata. CACR Software REF/DIF, FUNWAVE etc. Join coastal_list, the coastal engineering email list. 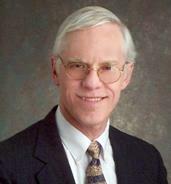 Take a look at The Coastal Engineering Page. It is under construction and your help will be appreciated. 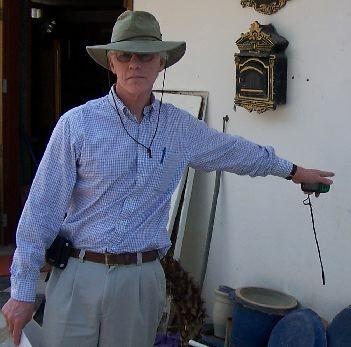 Pictures: A picture of Dalrymple in Thailand, pointing to a tsunami water line. Here's a picture at UD, showing me putting dye into a rip current generated in the Ocean Engineering Laboratory's Directional Wave Basin. This study of rip current generation in the vicinity of sand bars was funded by ONR. 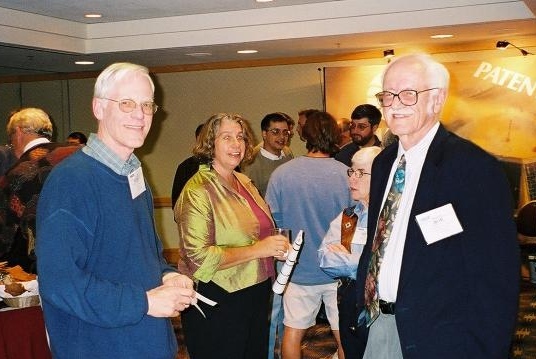 Finally, here's a picture from Waves 2001 with Robert G. Dean, Leslie Ewing and Becky Edge (K. Barnes photo). National Geographic Magazine (November, 1998) highlighted Jaws, Maui, a surfing area in Hawaii that experiences huge waves at times. See what the wave model REF/DIF does for the this site by going to www.coastal.udel.edu/ngs. Mail rad@jhu.edu by clicking here.